Christian Albert Smith “Haebauhdee-Zhoh”, age 31, started his journey to the Creator on Monday, April 15, 2019. He was born in Santa Fe, NM to his loving parents, Cecilia Redd and Ervin Smith. He’s a member of the Southern Ute Indian Tribe and the oldest of four children. 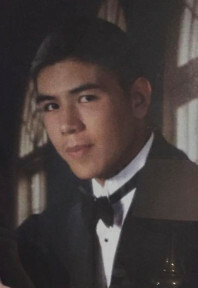 He grew up in Valencia County and graduated from Los Lunas High School in 2006. He was a star athlete excelling in basketball, golf and bowling. Christian was also an artist of many trades blessed with the ability to create breathtaking masterpieces. He is survived by his parents, Cecilia and Ervin; his sisters, Sacha (Eric) and Jeanné; brother, Nicholas; nephew, Theodore; maternal grandmother, Bonnie Redd; paternal grandparents, Darlene and David Smith; and numerous extended family members and friends. He is preceded in death by his maternal grandfather, Albert Gunn Redd Sr.; and great grandmothers, Josephine Harlan and Elsie Morris. A Funeral Service will be held Thursday, April 18, 2019, 10:00 a.m. at FRENCH - Lomas. A private family burial will take place Friday, April 19, 2019.